The HG-1205LI Battery Charger is for Single 26650/18650/14500 battery.It can automatically stop charging when complete which is safe to use. • Patented design, built in switching power supply, global power supply. • Exquisite and small, rotating plug, easy to carry. 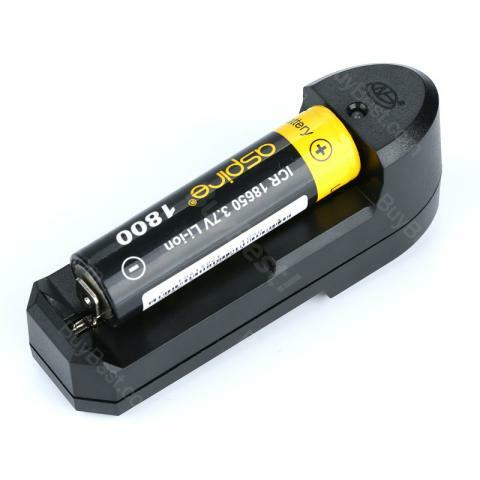 • It supports a nominal 3.6-3.7V lithium-ion battery of all sizes. • Support all kinds of rechargeable lithium batteries. • Automatic stop, charging red light, full of electricity, green light, full of electricity, stop automatically. I have read every comment before I bought it and I hoping they were true, I just say that I was not disappointed at all, really good product at such worthy price!